Join the Gateway Center for Giving as we celebrate the strength of philanthropy in Missouri with our fellow grantmakers, nonprofit partners, and community members. 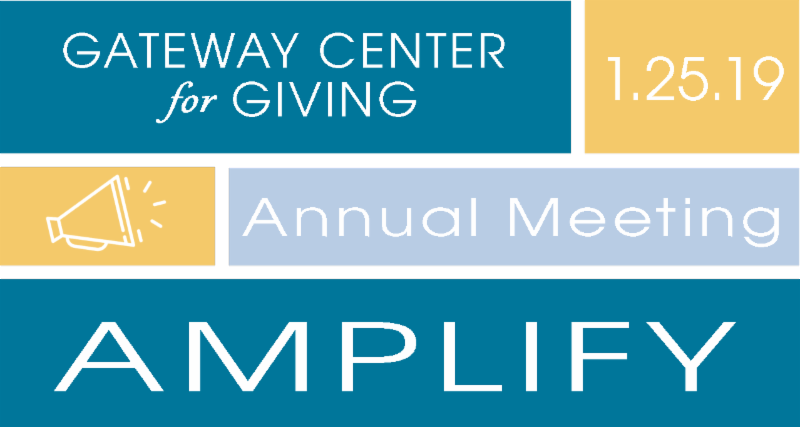 During this luncheon event, GCG will present a 2018 year-in-review, members will elect new board directors, and we will honor the Gateway Giving Award winners for excellence in grantmaking. Cost: $50 per person. Advance registration is required for this event. THIS EVENT IS FULL. Please email Clare Brewka if you would like to be placed on the waiting list. We suggest that attendees pay online by credit card or debit card. When you register, choose the "PayPal" option, and it will take you to the right place to pay by credit or debit card. You won't need a PayPal account to pay online.